Hostels are an inexpensive way to travel – offering the cheapest lodging rates available for travelers – including adults, families, students, and backpackers. All online reservations must be secured with a credit card deposit – but the balance may be payable in cash. You may enjoy staying at dormitory-type hostels with dorm rooms containing multiple beds and shared toilet facilities. Privacy is limited. High-end hostels may have semi-private or private rooms with en-suite baths (more like a bed and breakfast than a hostel). Many hostels do not provide linens. Be sure to check in advance so that you are prepared. You can buy hostel sheets online. They can be purchased with a drawstring carrying bag that looks like a sleeping bag stuff-sack. Speaking of sleeping bags, you may decide that a sleeping bag is preferable. If you plan a long trip, be sure to pack a sleeping bag with a washable liner (or buy extra liners). If you are a light sleeper, you might want to purchase some noise-cancelling earbud headphones with a portable music device (like an iPod or mini MP3-player). Nervous about taking along an expensive item that could be lost? Pack some cheap foam earplugs. They are invaluable for blocking out sounds like street noises and snoring. Packing for hostel travel requires some special planning. You won’t have the same amenities at your destination that a hotel or inn would provide. Don’t be shy! Introduce yourself and share something about your travel plans. 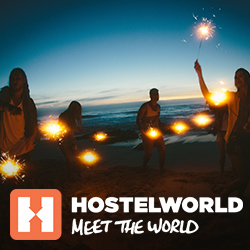 Hostels are the best places to meet other people, make friends and share valuable travel tips. All you need is a small deposit to secure your spot. Please contact us if you need help, we are happy to help.